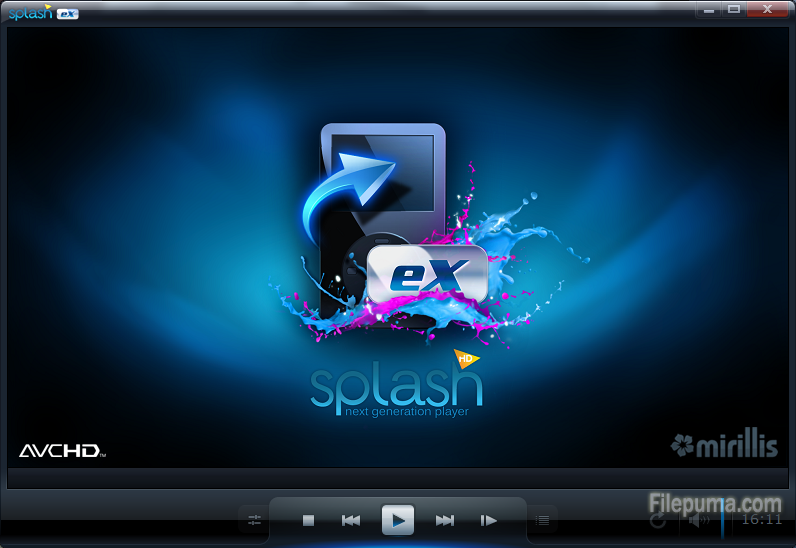 Splash PRO EX combines all the features of Splash PRO with easy and fast exporting of videos to popular devices, Facebook, YouTube™ and more. 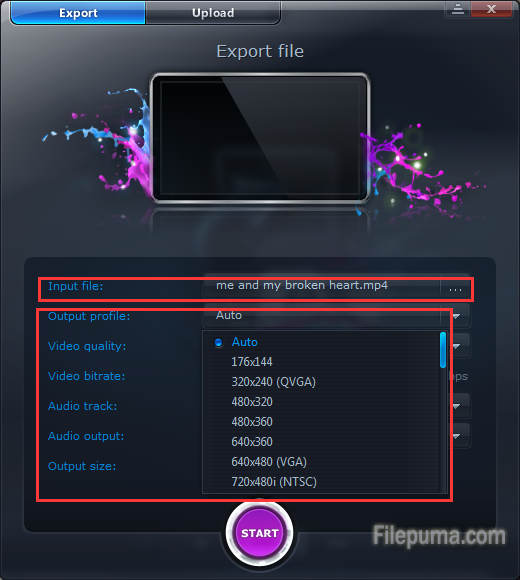 It can play and convert all your High Definition movies and camcorder clips, incredibly fast, smooth and without problems. You don’t need any additional codes. 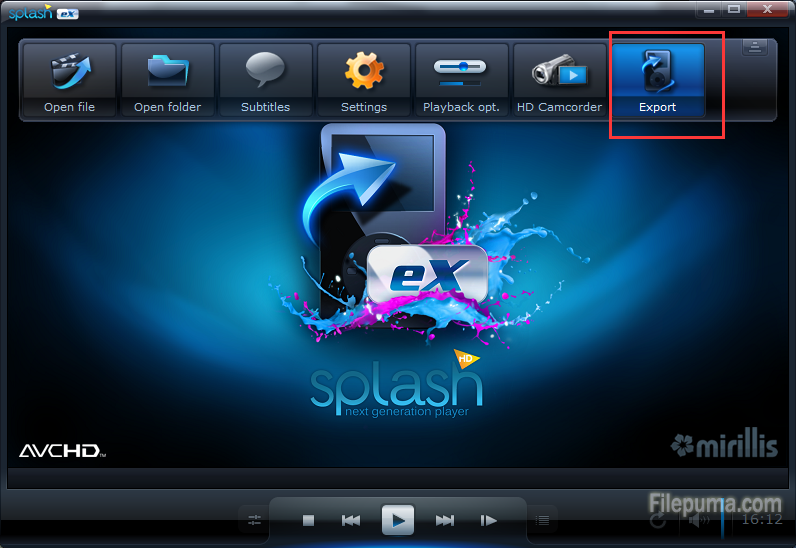 Here is an instruction to let you know how to convert files with Splash PRO EX easily and quickly. 2. Move your mouse pointer to upper area of the window, and then the taskbar will come out. Click on the “Export ” button. 3. On the “Export file” window, choose the input file, and choose the output profile as you need. 4. Then you could set the “Video quality” “Video bitrate” “Audio track” as you need. 5. After all your setting is done, the program will give you an approximate output size. Now you could click on “START” to stat the converting process.